Capitals of the World? Or World Capitals? 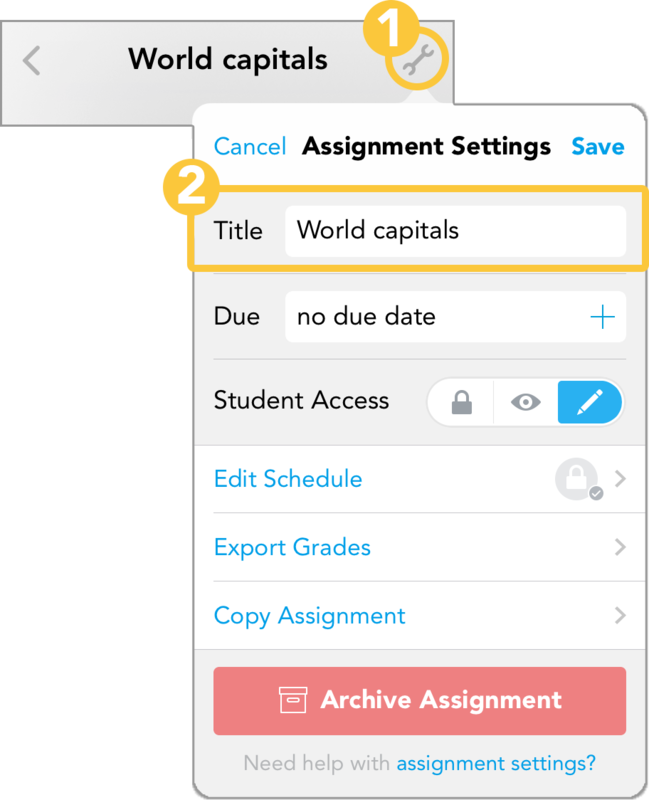 In Showbie, assignments can be renamed at any time with a few simple steps. You can also rename files. Check out this guide here! Want to create more assignments? Here’s how you can do that. What do all those settings mean? Lucky for you there’s a guide for that!